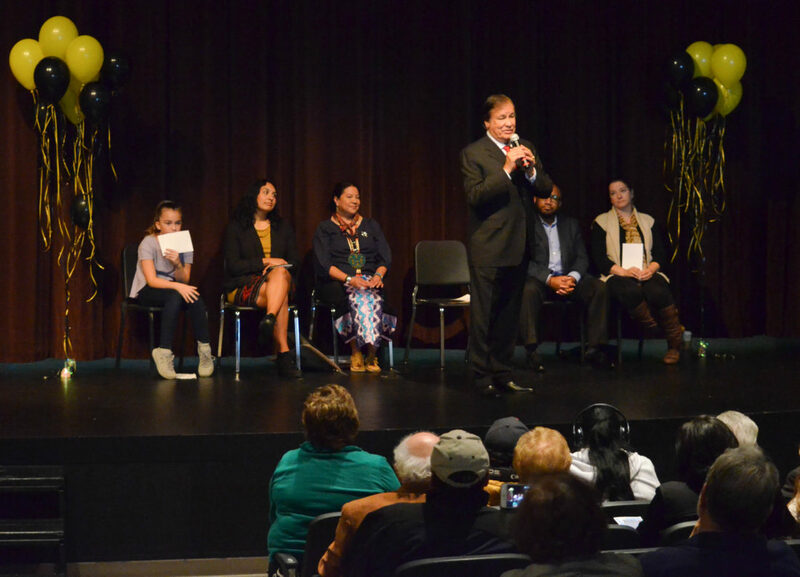 U.S. Olympian Billy Mills, a member of the Oglala Lakota (Sioux) tribe, addresses the audience at the Billy Mills Middle School rededication ceremony on Saturday, Nov. 3, 2018. 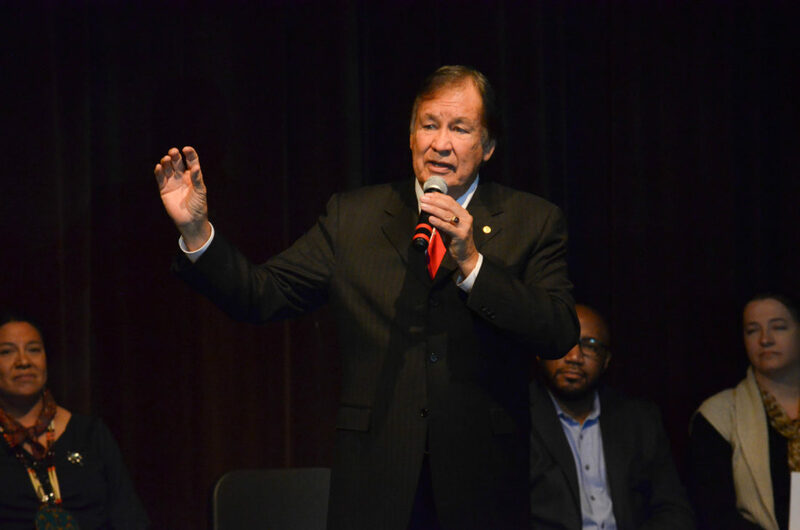 On Friday, Olympic gold medalist and Oglala Lakota (Sioux) tribe member Billy Mills visited students at the middle school that now bears his name, and a question from one of the kids was so impactful, he said, that he cried tears of optimism in his hotel room that night. 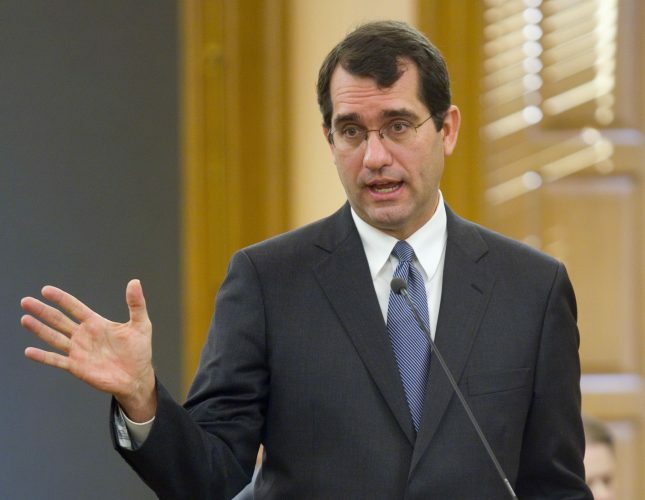 That question, Mills said Saturday at a dedication ceremony for his namesake school, was about the difference between racism in the past and racism today. 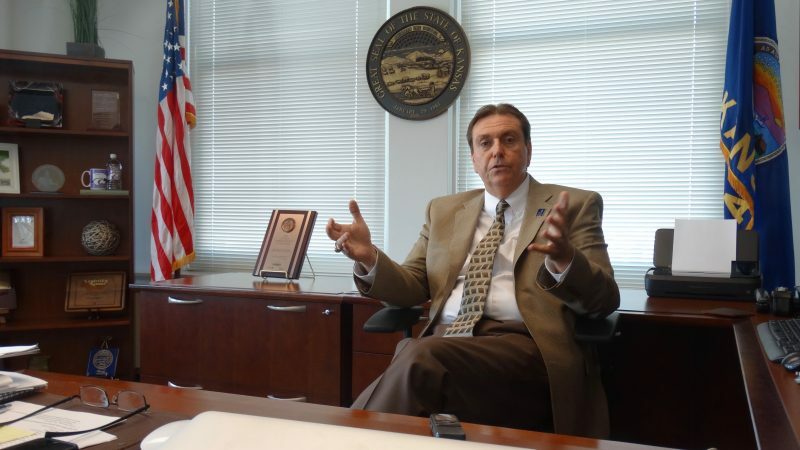 “The difference in the racism of today is we know what caused it, and we know how to solve it if we are willing, and I know we are willing,” he said. Although the dedication ceremony was Saturday, the former South Middle School had been operating as Billy Mills Middle School for the entire fall semester. In February, the Lawrence school board approved renaming the school in honor of Mills, who attended Haskell Indian Nations University when it was still called Haskell Institute, graduated from the University of Kansas, won the 1964 Olympic gold medal in the 10,000-meter run and founded the humanitarian nonprofit Running Strong for Native American Youth. Empowering Native American youth was a big part of the effort to rename the school in the first place, one of the leaders of the renaming effort said in her remarks. Carole Cadue-Blackwood, a member of the Kickapoo tribe, first asked the Lawrence school board to rename the school in June 2017. 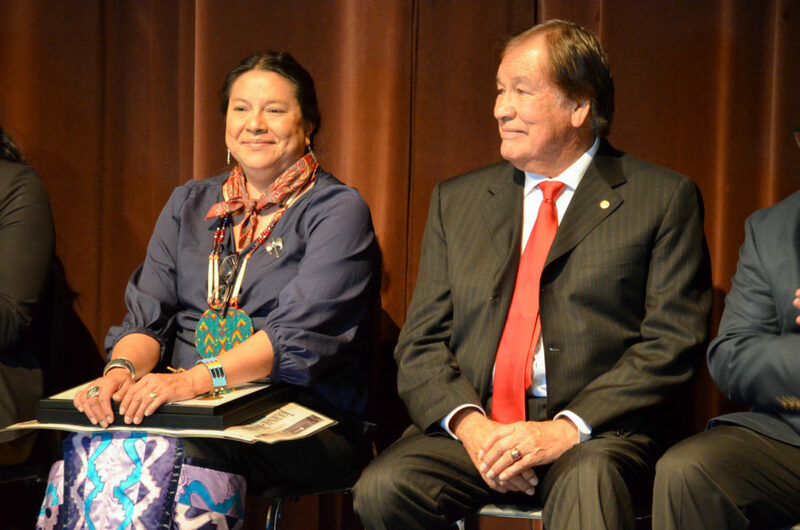 She told the audience Saturday that the school was built on land the U.S. Bureau of Indian Affairs donated through Haskell to the Lawrence school district, and she wanted to rename the school as a way to instill pride in Native American and minority students. 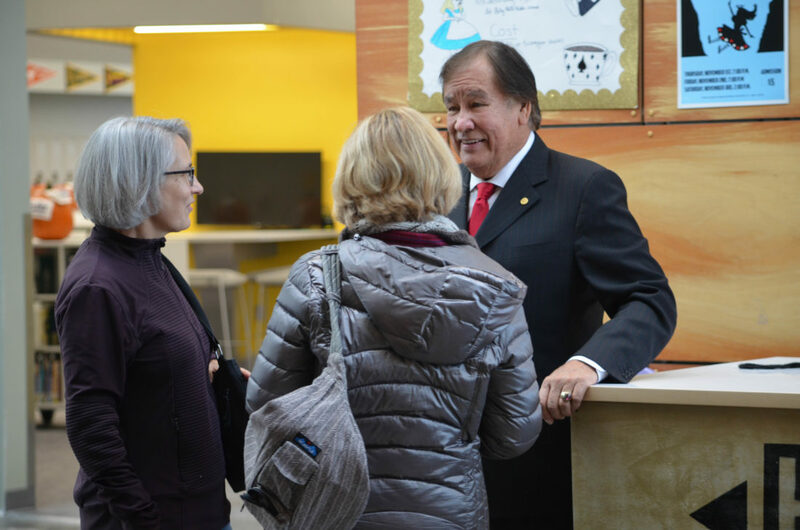 Carole Cadue-Blackwood, Kickapoo, and U.S. Olympian Billy Mills, Oglala Lakota (Sioux), were both honored at the Billy Mills Middle School rededication ceremony on Saturday, Nov. 3, 2018. 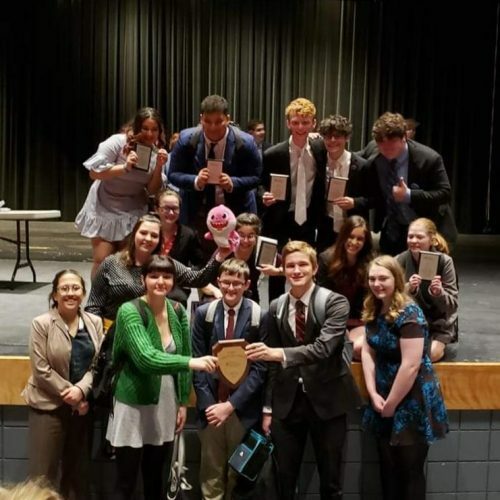 Cadue-Blackwood was awarded the National Indian Education Association Parent of the Year award earlier this year for her efforts to rename the school. Principal Keith Jones said that he hoped Mills’ vision would inspire the middle school community. 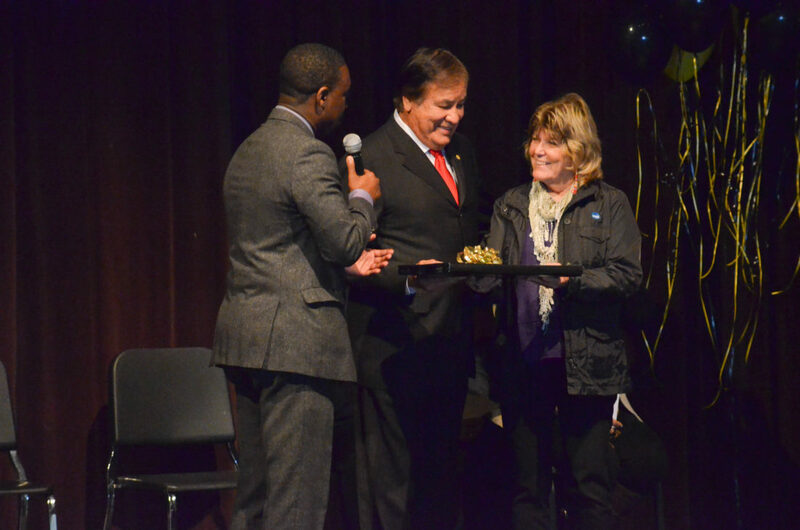 Billy Mills, center, and his wife, Patricia Mills, receive a gift from Billy Mills Middle School Principal Keith Jones at the middle school’s rededication ceremony on Saturday, Nov. 3, 2018. 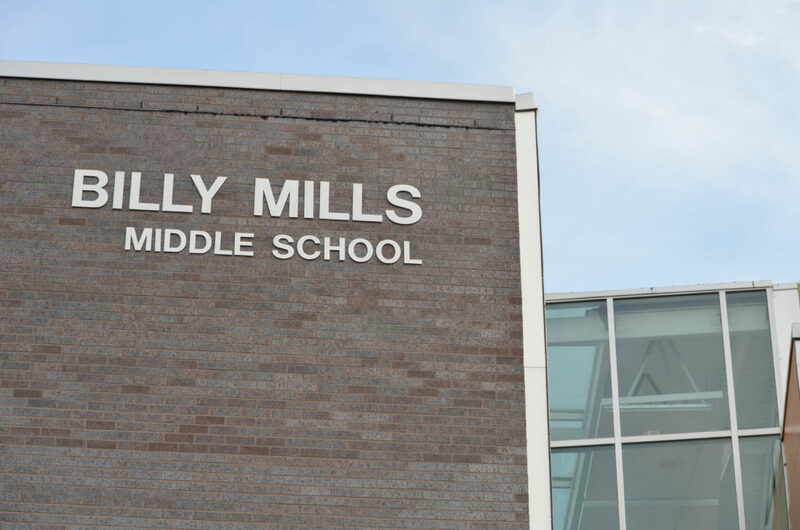 Mills said he hoped the school’s renaming would empower its students and send a clear message against racism and intolerance. 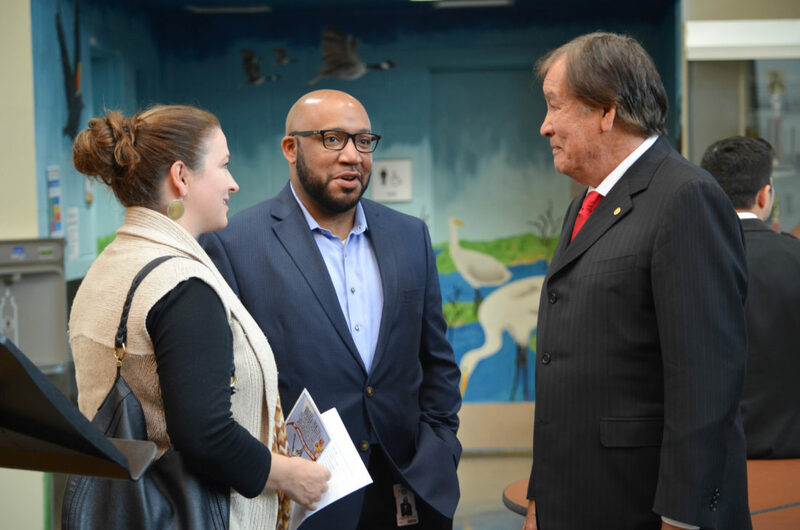 From left, Lawrence school board president Jessica Beeson, Superintendent Anthony Lewis and U.S. Olympian Billy Mills speak before the Billy Mills Middle School rededication ceremony on Saturday, Nov. 3, 2018. U.S. Olympian Billy Mills speaks to Mary Wade and Ruth Dempsey before the Billy Mills Middle School rededication ceremony on Saturday, Nov. 3, 2018. 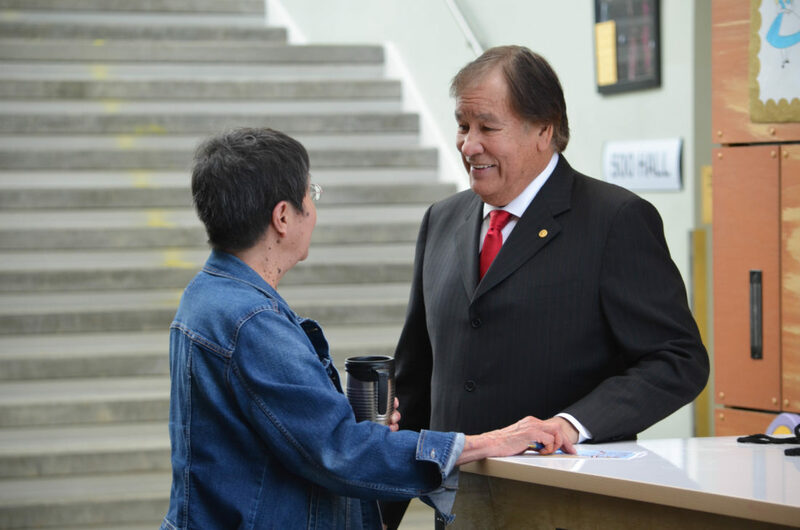 Billy Mills, right, speaks to Shirley Jimboy before the Billy Mills Middle School rededication ceremony on Saturday, Nov. 3, 2018. Mills and Jimboy are from the same reservation. 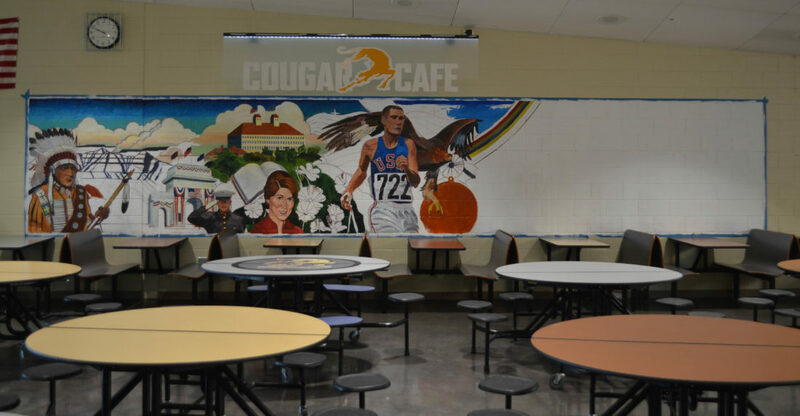 U.S. Olympian Billy Mills, Oglala Lakota (Sioux), is depicted in a mural at Billy Mills Middle School, shown Saturday, Nov. 3, 2018. The blank portion of the mural will later be filled in with faces of students at the middle school. 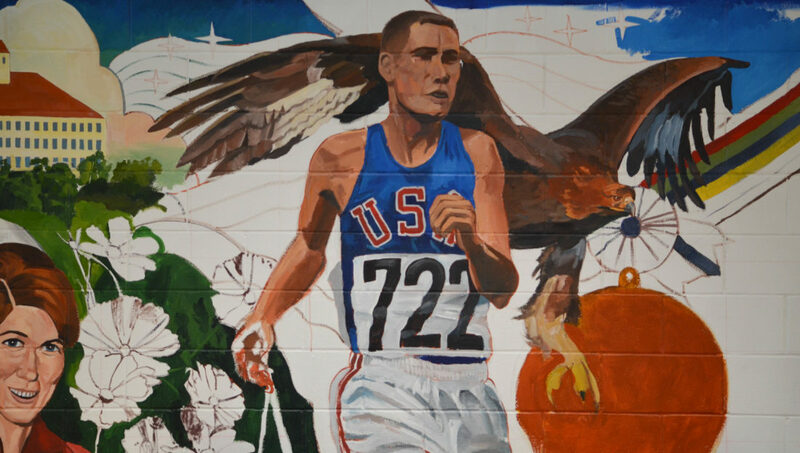 U.S. Olympian Billy Mills, Oglala Lakota (Sioux), is depicted in a mural at Billy Mills Middle School. The muralist, Isaiah Stewart, Lakota/Mohawk, was honored for his work at the school’s rededication ceremony on Saturday, Nov. 3, 2018. 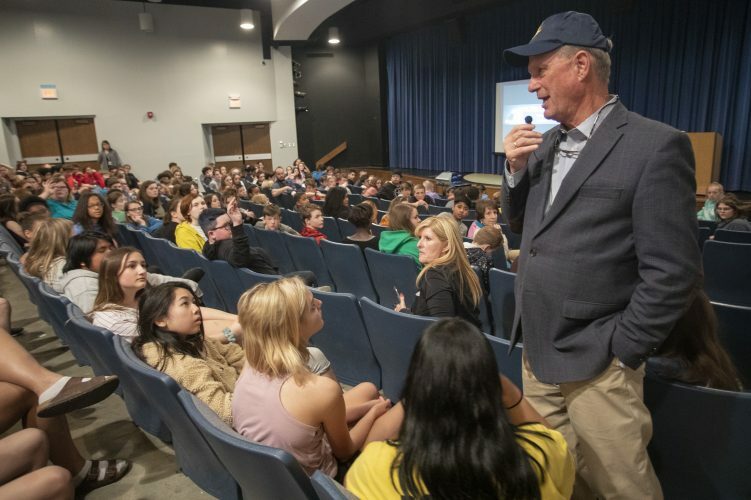 Billy Mills Middle School is pictured on Saturday, Nov. 3, 2018, when the school commemorated its renaming with a special ceremony.